We all know that death is a part of life and… well… unavoidable. As easy as it is to refuse to seriously consider our own demise, our ongoing procrastination will not stop our death or disability. If you choose “get serious” about this ultimate gift, and simply start the process of creating an Estate Plan, you will be a hero to your kids and heirs. You will have peace of mind knowing that you have done everything in your power to fulfill your wishes and not lay the burden of your inaction on your kids by forcing a probate on them that could take as long as 2 years when you are gone. Creating a complete estate plan also provides for persons you appoint to assist you while you are alive should it become necessary to have someone step in to help should you experience a stroke, or other unexpected disability. Orange County Trust Lawyer, David Crockett, makes the creation of a trust and estate plan straight-forward and affordable for most anyone’s budget. Once you create an Estate Plan (including a trust of some type) that allows you to enjoy the comfort of knowing you have control over EXACTLY how your children, pets, money, property and other assets and belongings will be cared for and parsed out to loved ones when you pass. Your Trust and other documents (Estate Plan) will legally describe your own exact and precise wishes as to how your legacy will be distributed, and how you, your children, and even your pets will be cared for during their lives. It is the ultimate loving gift to your kids and loved ones. A living trust offers complete control to clients during their lifetime, provides for them and their loved ones in the event of their incapacity, and on death allows them to pass their assets to their loved ones without the costs, delays and publicity associated with probate. Orange County Trust Lawyer, David Crockett, strives to remain in touch with Trust and Estate Planning clients because he knows that “life happens” requiring minor –but necessary– changes to estate plans every so often. If you have recently married, divorced, had a child, purchased a home or other property, inherited some money, or experienced some other significant life change, now is the perfect time to review your Will, Trust or Estate Plan to make sure it reflects your current circumstances and your long term wishes and desires. 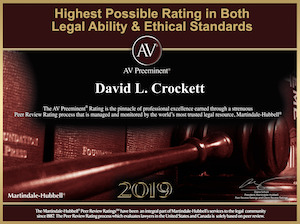 Since Orange County Trust Lawyer David Crockett focuses primarily on Trusts, Probate and other instruments of Estate Planning, he keeps abreast of the latest estate planning options available, court rulings and congressional rulings to better serve his clients and protect their estates. Is your trust more than 5 years old? If so, it may be time to review your trust to ensure that it up-to-date and satisfies your goals. Does your trust up to date with technological advances in determining family relationships such as DNA testing? Does your trust have provisions to prevent runaway and excessive trustees fees? Does your trust have an up to date legally enforceable “no contest” clause? If you have minor children, does your estate plan specifically name Guardians for them? If so, are you still happy with the choices of guardian(s) nominated? Since the creation of your estate plan, are your children now adults? If so, it may be beneficial to name them as your Health Care Agents or successor Trustees of your trust. If you have a Trust, are there any assets that you initially forgot or other assets that have not been transferred into your Trust? If that is the case, it is critical that your Trust is fully-funded so as to avoid probate. Is there any overlooked or new personal property that you would like to be distributed to specific children or other individuals that have not been clearly specified in your planning documents? Since completing your estate plan, have you been married, divorced or widowed? 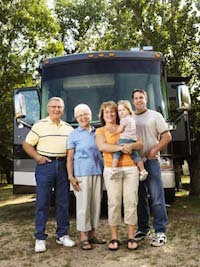 Since completing your estate plan, have you had children or grandchildren? Since completing your estate plan, have any of your children been married, divorced or passed away? Have you placed any accounts or property in joint ownership with others? If so, there may be unintended long term tax and inheritance consequences. Have you bought or sold a house or other piece of property since your planning documents were signed? Is estate large enough to be subject to the 40% federal estate tax? If so, there are steps that can be taken to minimize the impact of estate taxes. Is your Power of Attorney document for financial decisions older than 5 years? If “yes,” this document should be updated to give your agent specific powers in the event of your disability or incapacity. Is your Power of Attorney document for health care decisions older than 5 years or specifically before 2004? If “yes,” this document should be updated to give your health care agent powers in the event you cannot make medical decisions on your own behalf. If you have answered ‘YES’ to any of these questions - we strongly recommend that you schedule a review appointment. As always, we will review your documents at an introductory meeting for free! Do you Need a Trust,Estate Plans, Will, Advanced Medical Directive, Etc.? Orange County Trust Lawyer, David Crockett has a full-service estate planning practice that can help any client, whether he or she has never created any type of Will, Estate Plan, and this is a first time –or– you are facing a sudden emergency in your family. 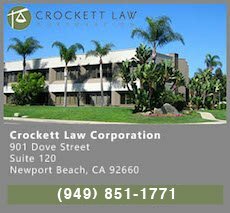 Trust Probate Estate Lawyers Attorney David L. CrockettI encourage you to reach out to make that free introductory meeting with me by calling (949) 851-1771. There is absolutely no pressure whatsoever. Typically, people will want to sit down with a trust and estate planning lawyer to discuss their current trust documents or explore what types of trusts might be beneficial for your very specific life situation. I am pleased to offer this complementary legal service to residents of Orange County and beyond. If it is late at night or inconvenient to call me, please fill out my online case evaluation form. This form comes directly to my desk. I will contact you the minute I see it. We are located near the Orange County California John Wayne Airport. My office is catty-corner from Fletcher-Jones Motorcars; —right behind the rear entrance of Newport Lexus on Dove Street. Here is a picture of my office building and a Google Map to get your bearings. We serve the following localities: Orange County including Aliso Viejo, Anaheim, Brea, Buena Park, Corona del Mar, Costa Mesa, Cypress, Dana Point, Fountain Valley, Fullerton, Garden Grove, Huntington Beach, Irvine, La Habra, La Palma, Laguna Beach, Laguna Hills, Laguna Niguel, Lake Forest, Los Alamitos, Mission Viejo, Orange, Placentia, Rancho Santa Margarita, San Clemente, San Juan Capistrano, Santa Ana, Seal Beach, Stanton, Tustin, Villa Park, Westminster, and Yorba Linda.